Developed as a standalone mod for Valve’s seminal first-person shooter, Gunman Chronicles noticeably wants to break its mold. Its style rests firmly between the claustrophobic linearity of its host game and the more expansive set-pieces that would define future genre pacesetters like Halo. No doubt Gunman Chronicles is a fun ride; it has tightly scripted sci-fi action chops and a sense of danger. It’s also an awkward game, the puberty-struck middle child of a genre caught growing up midway. 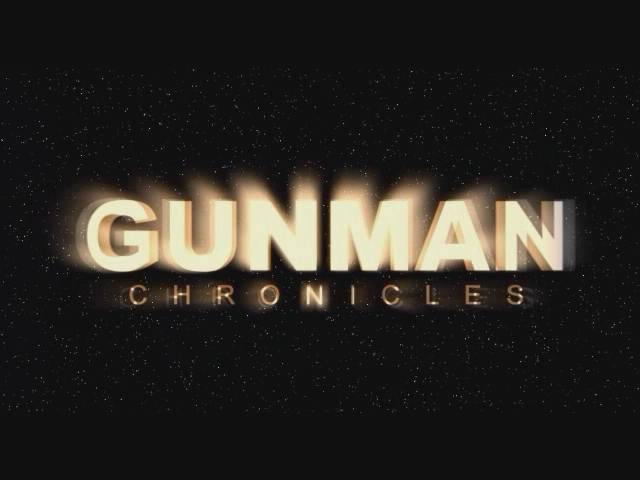 In Gunman Chronicles, human safety rests in the hands of the Gunmen, an elite troop of Civil War-clad minutemen who fight alien threats on the outskirts of the galaxy. You play as one such soldier, a veteran who had previously survived a devastating attack that claimed the Gunman General. After a disastrous search-and-rescue mission, the General reemerges, still alive and seeking revenge against those who abandoned him. His rogue faction, supported by a genetically engineered alien army, ambushes the Gunmen and instigates a full-fledged war. You split from your comrades to hunt the General on his home turf and dismantle his “xenome” army. Anyone who has played a first-person shooter will know where this goes. You strike an alliance with an insane AI who aids you in your battle against the General and the xenomes, which become an increasingly prominent threat. Eventually you defeat the General in a dramatic boss battle. So many other shooters before and after Half-Life mimic this structure that it may never have been fresh, but its interstellar reach at least steps in the direction of a big-picture epic. Much of the game’s core lifts and pulls in analogous places. Environment-driven puzzles are recognizable yet given the care to match Gunman‘s vaster, more colorful backdrop. The combat also borrows directly from its predecesors, but again, its variations hint towards the genre’s bolder and more adventurous promise. The game’s handful of weapons all serve different archetypes, and their differences introduce shades of more complex situational strategy. Powerful, shorter-ranged weapons work better against pouncing xenomes than the rapid-fire meckagun, for instance. More radically, you can modify your weapons, toggling settings to tweak their fire or to alter their behavior more substantially (your rocket launcher doubles as a grenade launcher or a mine-layer). These functions seem only partially thought-through and are never central to the game, but they offer a glimpse of the broad ambition to come for shooters. That’s especially true for the rare segments with stationary turrets and vehicles. They exist, but the game doesn’t quite know what to do with them – a long way from the genre staples they’d become. Gunman Chronicles feels biggest and most forward-thinking in the wide scope of its world. The game rejects the corridor stalking that had defined the first-person shooter for something more grandiose . As you chase the General across planets, you’ll visit not just industrial stock settings (those appear too) but massive Western-inspired canyons or fractured landscapes where quarreling alien species weave in and out of your path. 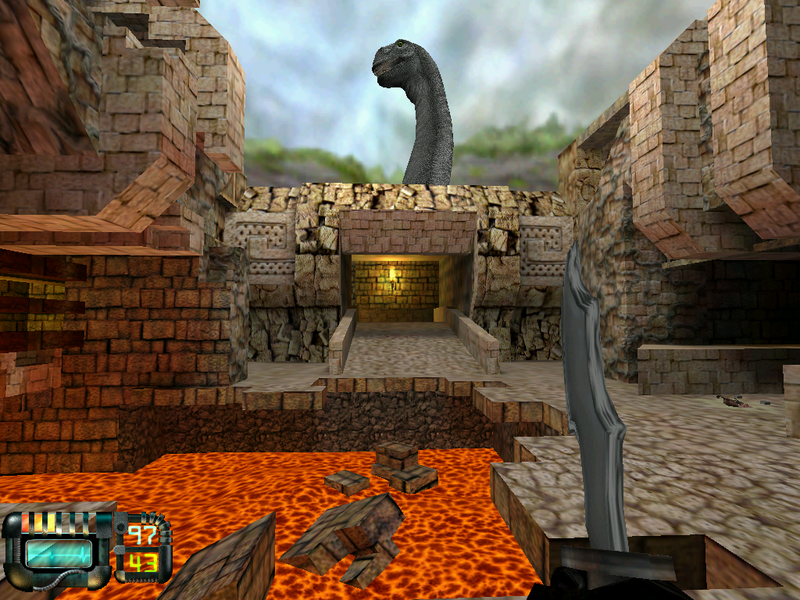 The game opens in a collapsing, prehistoric jungle temple where the General’s stooges ambush your allies in a crossfire; the massive breadth and complexity of this scene dwarfs nearly anything attempted before it. The game doesn’t often evoke that sense of innovation, mainly because of its close resemblance to its forebears. The ingredients for a more daring shooter are in place, but it plays like… well, a Half-Life mod. A great Half-Life mod, of course, but one working on a larger canvas with the same paints. While some scenes stand out as grander undertakings (the opening scene’s chaos warrants another mention), familiarity works against others. Moving gunfights into bigger arenas with wilder intersections of combat is a change in size, not necessarily form. The first Halo game debuted a year after Gunman Chronicles and rewrote the standards for first-person shooters with its enormous landscapes and sloshing combat sandbox. You can see seeds of those ideas in how Gunman escalates in scale. When you drive a tank across a desert or evade a drone ship patrolling the skies, those moments are exciting and fresh but still distant from the genre’s epic battles to come. They’re much closer to the game Gunman tries to forget it came from. 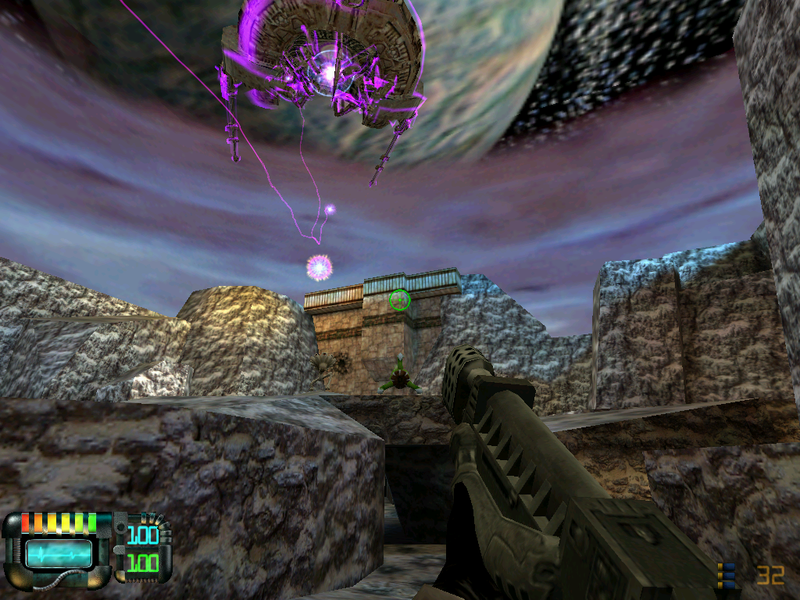 Since Gunman Chronicles is a Half-Life modification (many game files still even carry the Half-Life name), it is possible to play the game on modern systems via a copy of Half-Life purchased through Steam. Follow this guide for instructions. Miraculously, the game’s multiplayer mode is still running! Haha yea I played this game. I remember being fairly confused about its relationship with Half-Life. The thing is, Half-Life did so many new things so well that it must have been hard for designers to see where else to go with things. Surface Tension and Xen were such mind-blowing innovations (while also being well-executed) that it must have been hard to see where to go from there. 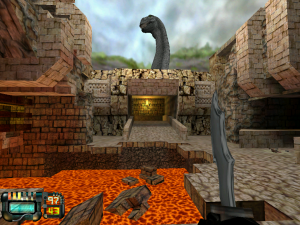 Overall, though, Gunman Chronicles worked better for me that the Half-Life expansions. The plot was goofy, but it got the job done. And maybe it was refreshing to have a plot after the ultra-spare emergent plot approach of Half Life.